The pressure is on marketers to understand how their companies can get the most out of content marketing – and there are plenty of theories out there on the various techniques and technologies that can be used. But amidst all the talk, there is a need for a clear methodology to actually doing it – a step-by-step guide that any company can use to prepare a content marketing plan. This talk does exactly that, by outlining a clear and practical methodology for content marketing, as well as highlighting the mistakes that companies are most likely to make along the way. 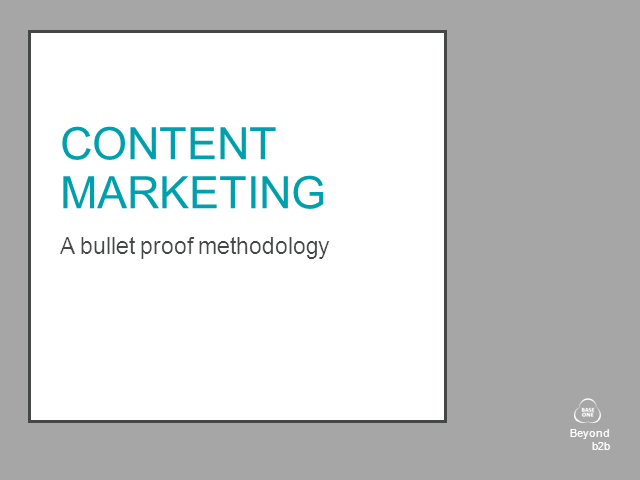 If you need to investigate how your company can use content marketing, this is a step-by-step guide that you will find invaluable.